Parents can't afford to miss it! Shoppers save up to 90% on retail! 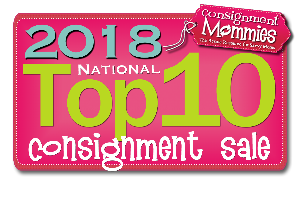 Consignor earnings start at 65% of their sales! WeeHelpers earn up to 80%! Sell All Your Kids' Stuff—Fast! We DEPEND on the sale twice a year to stock our kids' closets for the upcoming season. I am able to clothe my children in name brand clothing for a fraction of a retail store price tag. Recycling at its finest. We would never be able to sell so much at a garage sale. WeeUsables has helped us by allowing us to sell all of our gently used clothing and toys in one SAFE and family-friendly environment. As a working mom, WeeUsables helps me clean out my house and make extra money at the same time. I honestly don't know what I'd do without it. I am a stay-at-home mom and able to make enough money to cover the cost of buying their clothing for the upcoming season. WeeUsables is the most organized and well thought out process for consigning items ever! We have depended on WeeUsables to outfit our children. We have saved thousands of dollars. One sale paid for my daughter's first round of braces! Shopping retail for my family is expensive, but with the help of WeeUsables I can get them fun and fashionable, gently-used items at a reasonable price! WeeUsables Consignment Event shared a photo.